Djalu Gurruwiwi is a senior member of the Galpu clan and an internationally reknown didgeridoo maker and player. His status as a yidaki (didgeridoo) master craftsman has grown to Herculean proportions over recent years with one leading Australian newspaper proclaiming his as Arnhem Land’s latest international cult figure. 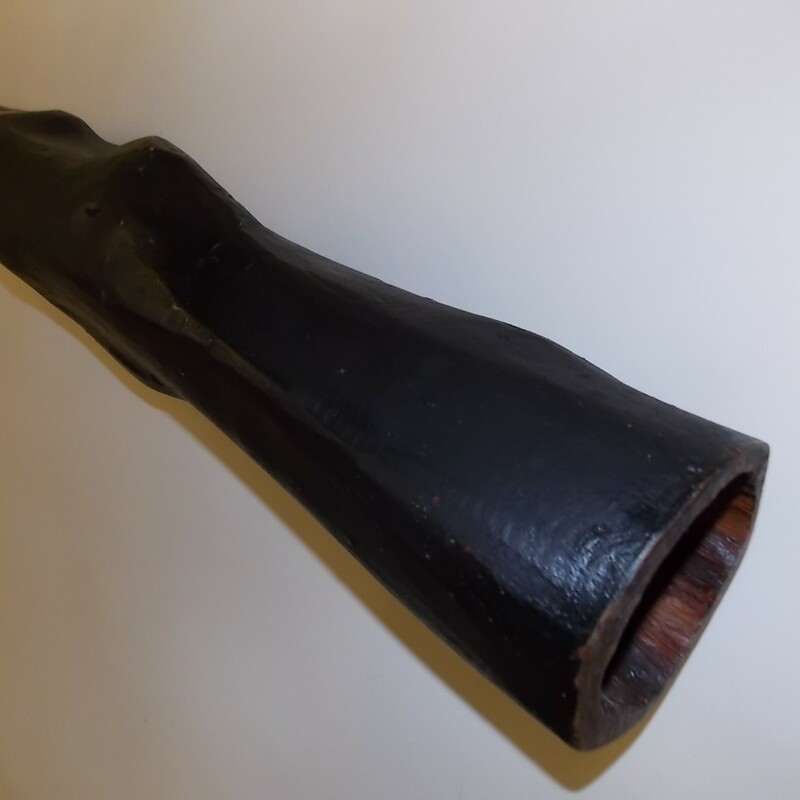 Djalu’s expertise in the way of the didgeridoo is an extension of the role handed down to him by his now deceased father, Monyu, a noted Yolngu leader in his time. 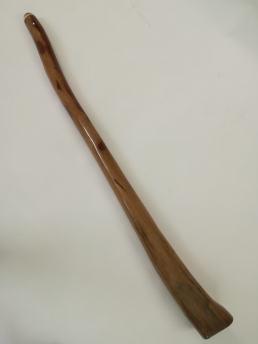 Monyu instilled in his son the importance of culture and gave Djalu the responsibility of looking after the didgeridoo for the Galpu clan. 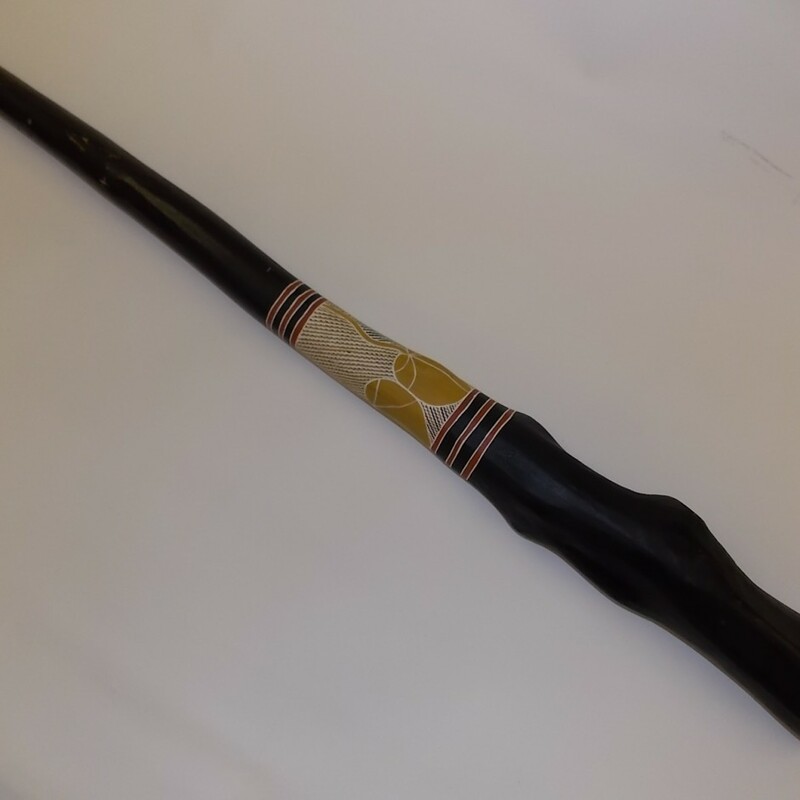 This duty is all the more important when considering the fact that many clan groups throughout Arnhem Land look to the Galpu as one of the primary custodians of the instrument. 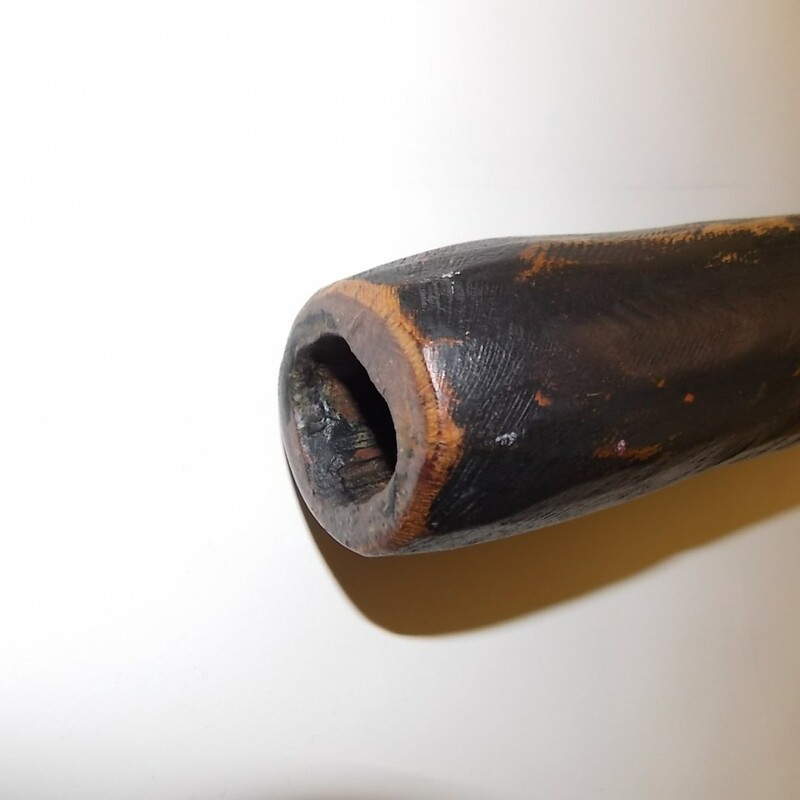 And linked to the didgeridoo are many aspects of knowledge and cultural practice that are sacred, their hidden secrets religiously guarded by those in authority. 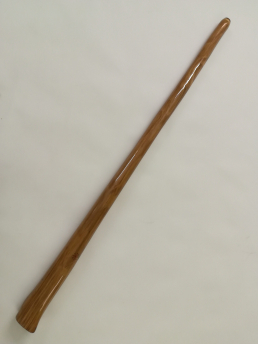 Prior to his international stardom, Djalu’s unusual obsession with the didgeridoo saw him spend much of his time over several decades crafting instruments and refining his technique. 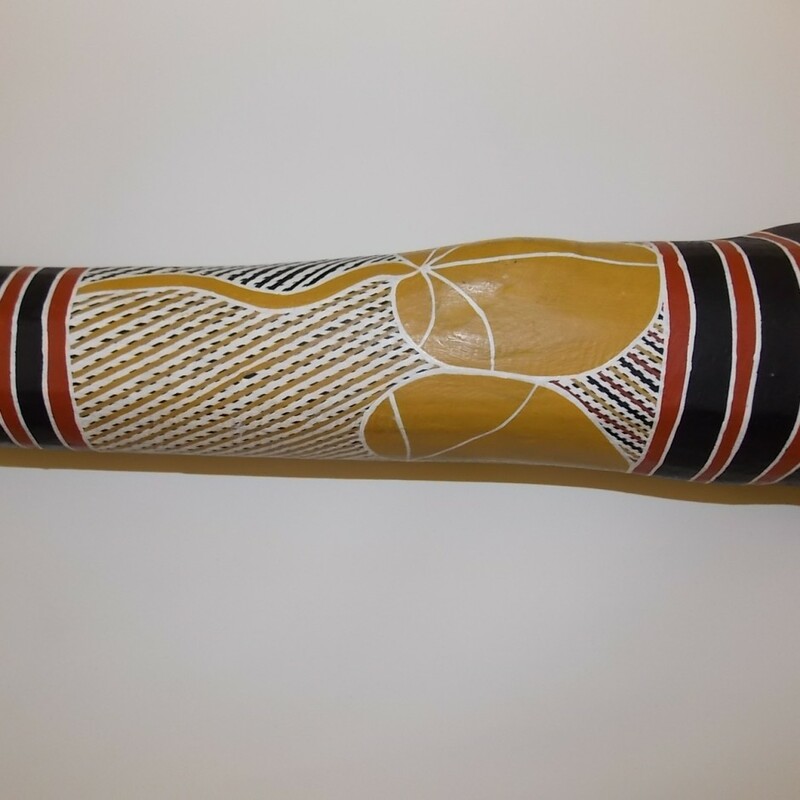 The pieces he made were sold to the local community arts centre and to non-Indigenous workers and visitors in his community who probably did not appreciate the importance of the man and his work: to them, the didgeridoo was merely a novelty, a keepsake. Nonetheless, in this way, Djalu was able to win a small living to feed and to look after the needs of his immediate and extended family. In 1986, Djalu’s reputation as a expert didgeridoo craftsman was given a major boost with the establishment of the Yothu Yindi band. The Aboriginal members of the band commissioned their close relative and recognised elite craftsman, Djalu, to make instruments for them. These instruments toured with the band and were also used in studio recordings that were released under the Mushroom Records label. 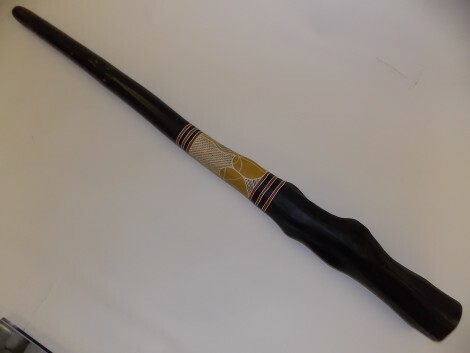 As Yothu Yindi began to pique the interest of non-Indigenous audiences around the world with its blend of contemporary and traditional grooves, combined with the energetic stage dancing normally restricted to ceremonial rituals, so too did the didgeridoo awaken the dormant tribal instinct in all of us. If Generation X was looking for a hero, they had found it in Djalu – the gentle and quietly-spoken Galpu man who is fond of bright shirts and mirrored sunglasses. 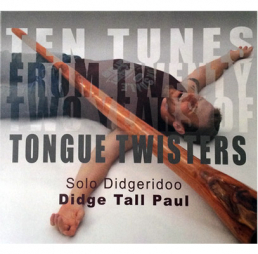 By the mid-1990s, with the Internet here to stay, Djalu’s status as Mr didgeridoo was cemented. 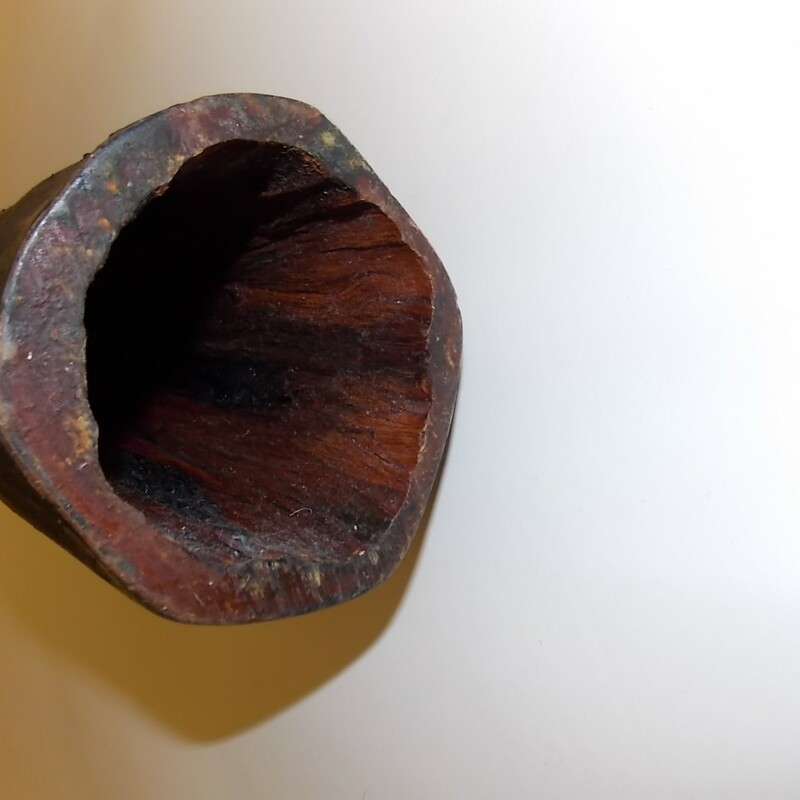 Web forums and chat sites discussed Djalu’s didgeridoos and why they were superior. His instruments were traded across oceans. Dealers and collectors clambered to buy his best pieces. 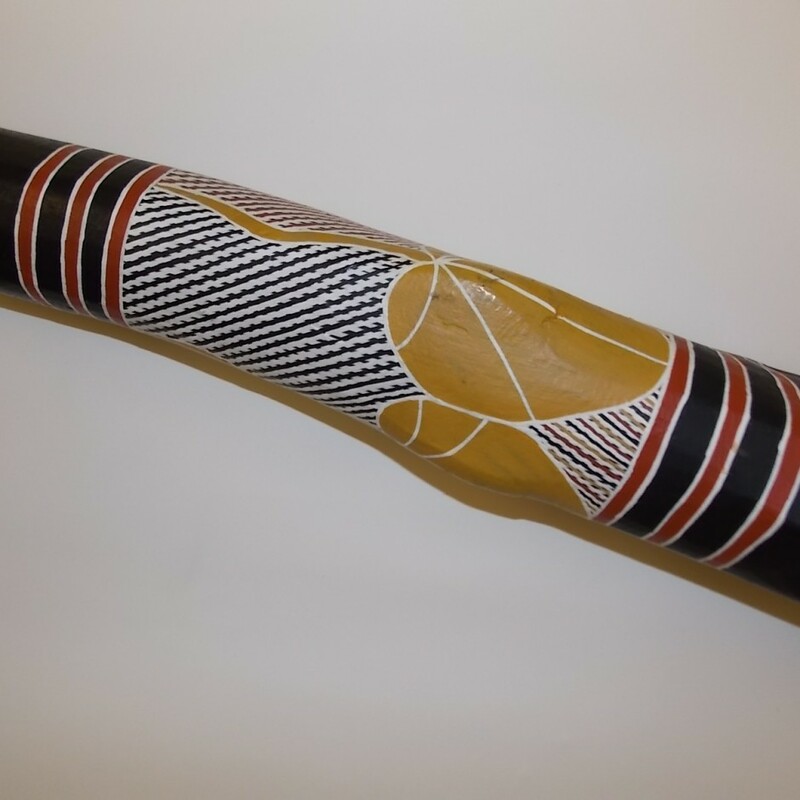 Budding non-Indigenous didgeridoo makers sought out his knowledge and special skill. As the idolizing public got to know Djalu, they saw not only a man possessed with spreading the message of the didgeridoo – and you’ll understand what this message is if you play the didgeridoo and have met Djalu – but also an incredibly generous and open-hearted human being. In between hosting the throng of overseas visitors who make their pilgrimage to his ramshackle house in remote Arnhem Land, Djalu balances his time between family, community, ceremonial and public duties. In his Gunyangara’ community, Djalu is a highly respected elder and a Christian leader – having completed studies in theology at Nungalinya College in 1994 in Darwin. In 1997, Djalu took part in one of the most important exhibitions of Aboriginal art, thePainters of the Wagilag Sisters Story 1937-1997. Staged at the National Gallery of Australia in Canberra, Djalu opened the exhibition with yidaki playing and helped with the construction of a sacred sand sculpture in the foyer of the exhibition space. In 1998, Djalu collaborated with Australian and overseas artists and printmakers inThe Meeting of the Waters project at the Northern Territory University. Djalu delivered the first Yidaki Masterclass at the inaugural Garma Festival in 1999, delighting Australian and international guests with his challenging tuition and infectious personality. He has delivered all subsequent Yidaki Masterclasses at Garma in 2000, 2001, 2002, 2003, 2004 and 2005. Djalu’s first international outing was in 2002 at the Rripangu Yidaki Festival – named in honour of his family run business enterprise – in the tranquil town of Eisenbach in Germany’s Blackforest. He followed this up with a visit to the USA and Taiwan in 2003 where his mastery of the yidaki and natural charisma etched unforgettable memories in the minds of those in attendance. In 2004 Djalu and other members of his family travelled to the UAE for the Dubai Sister Cities Forum, and in 2005 he travelled to Japan for World Expo as well as Yidaki Festa. Also in 2003 was the Northern Territory Export Awards held at the Crown Plaza in Darwin. Djalu accepted first prize in the Art and Entertainment category on behalf of north-east Arnhem Land yidaki makers. In 2005 Djalu played for Nelson Mandela in Sydney, Australia, in a special meeting of 2 great leaders. In 2004 Djalu was featured in the NAIDOC Week special of George Negus Tonight on ABC television. 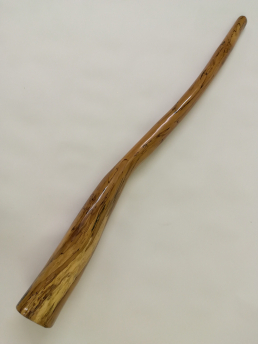 Typically hewn from large termite-hollowed eucalyptus trees, Djalu’s instruments are prized for their highly resonant qualities and shapely aesthetics. His ability to select the right sort of tree to craft into exquisite musical instruments is legendary among his clansmen and testament to his unparalleled skill and vast knowledge.